 Estia Agios Nikolaos welcomes adults (18+) with intellectual and developmental disabilities, who will benefit from living in a nurturing, community environment, which will permit them to develop their capacities and their independence. All Estia residents are expected to participate in our daily programme, which includes workshops every weekday morning and sharing in the household tasks in accordance with their abilities. They are also encouraged to join several other therapeutic or fun activities, such as yoga, baking, sports, theatre and much more. For this, every resident should be able to move, eat and go to the toilet independently. We are also not able to host people who are – or can be – a threat to themselves or others. All prospective new residents must follow a standard application procedure. This includes the application form, assessment by appropriate doctors and/or social workers, a trial period, and a post-trial review period by both Estia and the candidate and his/her family. We encourage you to come to visit us before considering to start the application process.